Virat Kolhi's led Indian cricket team gear up for tough English test, begins with the first T20I at Old Trafford, Manchester on Tuesday. Indian skipper Virat Kolhi and the hitman Rohit Sharma, both are competing to seal the no 4 spot in the list highest run-scorers in T20 cricket. Virat has scored 1992 runs while Rohit Sharma scored 1949 runs in limited over format. 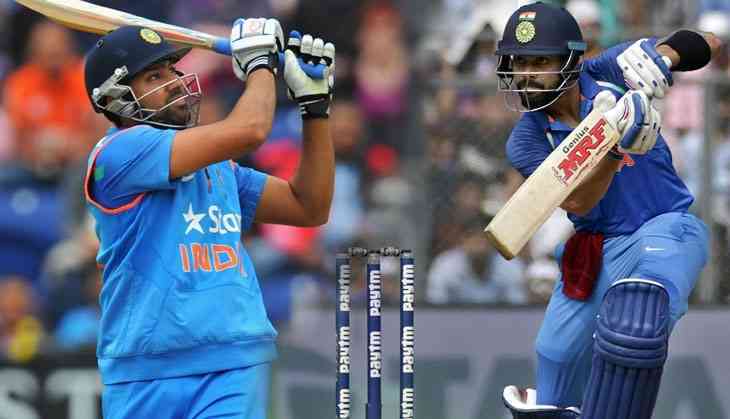 Now the question raised who is going to become the second Indian after Mithali Raj to achieve this milestone in overall T20 cricket, Rohit or Virat? Virat Kohli is yet to hit a century in the limited over format. India's England tour is all about the World Cup vision and playing with the right mindset, Virat Kohli has said ahead of the first match. After the New Zealand duo of Martin Guptill (2271 runs) from 68 games and Brendon McCullum (2140) from 66 games and Pakistan former skipper Shoaib Malik seal the third spot for completing two thousand runs. Both the teams are in superb form where India won the series against Ireland while on the other side England won five-nil in the ODI series against Australia.